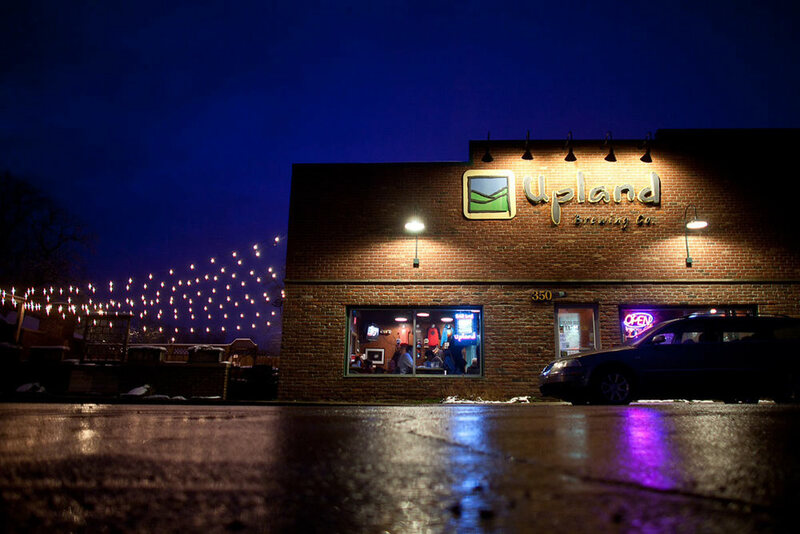 Bloomington, Indiana favorite, Upland Brewing is set to hit the Chicago market by early October, helping warm Hoosiers' craft beer hearts all over the city. Of course, their aim isn't just to ignite nostalgia for IU grads, but to let all Chicagoans in on an Indiana institution. Here in Chicago, we're all well familiar with the expansive 3 Floyds portfolio and occasionally hear of Sun King or ShoreLine around the city. Indianapolis' craft scene is booming and the Hoosier state has plenty of reasons to be proud. One of them, Upland Brewing Company has, until now, remained nearly hidden from folks in Chicago. One of their brewers, Patrick Lynch, caught up with us to discuss their flagship and experimental brews, what it's like brewing in a college town, and what we can expect as they take on the Windy City. Thanks for joining us, Patrick. Can you tell us a little about your background and role at Upland? I'm one of three brewers on staff. Caleb is the head brewer and he does the Sour program at our original location. Bill and I are the two guys brewing the production beer at the new location that we just built last year. I started drinking good beer, and Upland in particular, when I was at Notre Dame. I moved back home after graduation and that's when I got into brewing. I did an apprenticeship at a brewpub and then worked for a couple years at a brewery in New Jersey. Then I heard Upland was hiring and made the decision to move back home to Indiana in 2012. Did you do much homebrewing before getting your apprenticeship? Yea, but it was not a lot of time before I was in a brew house, knowing that this is what I wanted to do. It was a matter of months between my first homebrew batch and knocking on doors at breweries and brew pubs looking for some kind of 'in.' It just clicked right away. I've always been into local beer and when I travel I always try something new just to see what's out there. So how about Upland? What's their story? The Upland name refers to the rolling foothills we have in the area. Everyone thinks of Indiana as flat corn fields, but coming out here there is a lot more to it than that. Southern Indiana has rolling hills, state parks, forests, great hiking and plenty of lakes. The Upland name personifies all of that. There's a real enthusiasm for being outdoors down here. And the Upland name and logo really show what Bloomington is about and what our beer personifies. We started as a company in 1998 making this year Upland's fifteenth anniversary. When I started we were at our downtown restaurant location which we've been out growing for years now. We started bringing in tanks and sticking them through the ceiling and building on rooms to accommodate. We knew it was time to get our own production brewing facility. And that came together last spring right around the same time they brought me in. Now we have this great new place. It's a 37-barrel brew house and most of our fermenters are either 74 or 150 barrels, so we can either do 2 or 4 batches and fill a fermenter. We can do so much more in a brew day then we could've in the old place. That's a big part of why we're expanding markets now and getting into Chicago. We have the capacity to keep up in our home territory and expand outside of the state. I think the people who were here in '98 would be very surprised, and impressed, by where we are now. We have some regulars who have been here since the beginning and are part of our Mug Club, our loyalty program. Mug #5, which is an original mug from '98, comes in and is just blown away by how far we've come with two locations and now distributing to five states. We've heard great things about your beer. What does your flagship lineup look like? First is the Wheat which is a Belgian Wit style with coriander, chamomile and orange peel in the kettle. That's an unfiltered beer so it's got a nice haze to it with the yeast in suspension. A nice full-mouth feel but a really light refreshing beer also with plenty of citrus and spice. The ABV is about 4.8% on that one. The Dragonfly IPA is now neck and neck with the Wheat as our 'cornerstone.' For a while people's go-to was the Wheat but in the last year or two Dragonfly has been catching up, as IPAs just catch fire in popularity. At 6.5% ABV, it's got Columbus, Warrior, Simcoe and Cascade hops. And with the Cascades, we're adding them at late boil additions. And like with all of our IPAs, we run the wort through a hop back also. After the kettle it runs through another vessel filled with whole leaf hops – to really soak in the wort after the boil to extract all of the flavor and aroma. Then we send it to a whirlpool and on for fermentation. Our Porter is called Bad Elmer's Porter. The label is just this rugged woodsman. He's got the big bushy black beard. The label itself is a photograph of one of our local guys in Bloomington who lives a couple blocks from the bar. He just fits with the Upland brand and the personification of this Woodsman idea. He's a guy who just lives out in the wild; he's kind of mysterious. You're not supposed to have the full story. You're supposed to view him and see what you want out of it. I hear he even has his own own Twitter account. He's just taken on his own identity as the years have gone by. What about the experimental brews we've heard so much about? Our original location still has the restaurant and we kept our original brew house there. That's where Caleb pretty much has the Sour program on lockdown by himself. It's great that we have the two locations so we're not risking the cross contamination of having the wild fermentation in the same locations as our core beers. I don't personally have too much involvement in the Sour program but it's all under the Upland umbrella. Caleb has developed a rabid following for his sour beer. We got gold at the GABF last year for our Sour Reserve No 2. The sours have been going really great for us. Everything is barrel-aged in bourbon or wine barrels. It's a niche that we got into pretty early and now we have the capacity to expand it. How long has that been going on? It's been going on for a couple years now but it started out very small. It started with an experimental barrel in the back corner of the brewery. Now we have a separate building just storing barrels and we're outgrowing that. How much of this gets distributed and is there a fan favorite? In terms of production, it's only a small percentage of what we put out – but it's been huge for recognition for the brewery. We vary the releases so much that there isn't one in particular that has more loyalty than another. I think there's just a crazy following for the entire group. We've done a series of fruited Lambics with blackberry, raspberry, cherry, kiwi, persimmon and just recently, peach. We're always trying to come up with something new. Where has Upland been distributing so far? We've always been Indiana-focused, but you can find our beers in the Milwaukee and Louisville areas and just last year we got into Ohio. We started out with Cincinnati and quickly spread throughout the state. We got a great response from that. It was part of the motivation to look at Chicago and go from being an 'Indiana brewery' to a true Midwest brewery. It's been a blessing being in Bloomington with the home of Indiana University. All of the students and alumni know Upland and that's spread quickly throughout the whole state. We're based in Bloomington but we really represent the whole state. You can find us anywhere in Indiana. And anywhere we go in Indiana, people recognize Upland and know our core beers. How familiar is Upland with the Chicago beer scene? I've been really impressed with how the craft scene has blown up there in the past few years. I was visiting a lot in '07 and '08 and there wasn't a ton of craft beer and not too many breweries. There was Goose Island and not a whole lot else. Now, Revolution is great, Half Acre is awesome and there's a lot of beer I've heard about but just haven't had yet. While I haven't been going there as much lately, I've been impressed just hearing about whats been going on – what’s happening and what breweries are opening up. 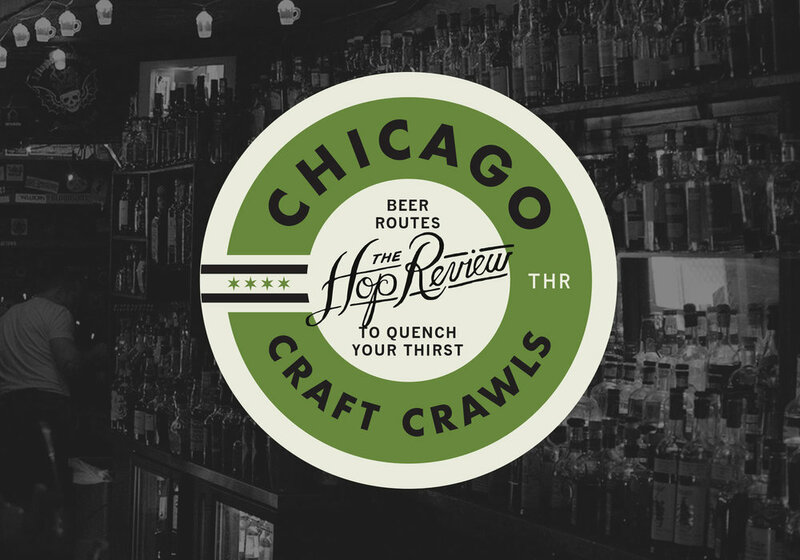 Which Upland beers will we see in Chicago and how will it be packaged? Our focus is always our two staples, the Wheat Ale and the Dragonfly IPA. It's really exciting that we're getting into Chicago at this time of year because our seasonal Oktoberfest is also one of our top sellers. We're doing a big push with that when we first get out there. We'll be fully expanding our portfolio later, but the Wheat and Dragonfly are really what people know us for. I would say the focus is more on bottled beer. Some of our high craft stuff is in bombers, but most of it is in 6-packs. All glass, no cans. Our core brews we've got in 6-packs and in 12-packs now. The Porter, the Red and the IPA are all in 6-packs also. And our seasonals – Oktoberfest, Kimodo Black IPA, and Campside Session IPA – those are all 6-packs. What does the rest of the craft scene in Indiana look like? Are you seeing a lot of new breweries? We're an hour south of Indiana and there have been a ton of new breweries opening up there recently. In Bloomington, we have Bloomington Brewing Company who have been around for even longer than us. Function Brewery is opening up in the next month so we've been waiting for them. By the end of the year, Bloomington will have three breweries in operation. As a college town, you've got a lot to do and there's a lot of good beer around. In Indy, it seems like a new one sprouts up every couple months and then you've got some good craft beer bars opening up as well. Upland's brewpub has been a Bloomington mainstay for the past decade and a half. What's the relationship like with the IU campus? There's a mutual benefit going on there. We love being in Bloomington and identifying with the IU identity. As we get into Chicago, the first thing we're doing is calling up the IU bars to make the connection there. The students themselves know Upland and love the local beer. There's a great relationship between the school and the brewery and that's kind of our first step as we expand and seek out the students who already know the Upland name. There was actually a Craft Brewers Conference this year in D.C., the same time as the Sweet 16, and we met up with an IU alumni club. We brought a keg of Upland Wheat and they just went nuts for it. Because to them, that is Bloomington, that is Indiana and that just brings them back to their college experience. So it's great to see people outside of Bloomington have that reaction and that's what I'm anticipating in Chicago also. We're hoping the IU crowd there just gets excited about it and others will catch on. Everyone in the Chicago brewing scene seems to be pretty good friends and there's a ton of collaboration going on. Do you see that in your area and does Upland have any plans to collaborate? Absolutely, I think if you're a craft brewer you're not my competition. You're with me, you're my friend. We love to support the other breweries around and they'll always lend a hand when we need it. As far as collaborations, we have a couple things in the works though it's still pretty early in the process. That has been a focus for us in the last few months. We've been trying to find breweries where we have common mission statements with and common identities. We definitely love to work with other breweries. So, when you're not drinking Upland, what's in your glass? I was just up in Wisconsin and loaded up on some New Glarus up there. Being from Jersey I love all of the beers from out east; the Flying Fish, the Victory, the Dogfish Head, the Brooklyn. There's just a great scene in Jersey and especially the Philly area. Cigar City is a great brewery as well. You can't really get it in Indy or around here, but Oskar Blues Dale's Pale Ale out of Colorado is one of my favorites. I've been going back to New Glarus a lot, and also just looking at a lot of other Indiana breweries: 3 Floyds, Sun King, and really just enjoying anything Upland.